Buy Vienna Philharmonic Gold Coins if you want modern gold bullion coins with both exceptional beauty and a robust worldwide demand. Produced by the Austrian Mint, the official minting authority of the Austrian Republic, the Gold Philharmonic Coin is named and designed after the Vienna Philharmonic Orchestra, one of the world’s finest musical ensembles. Originally denominated in schillings, the Vienna Philharmonic is now the only gold bullion coin with a face value denominated in legal tender euros (with are the second most widely reserved fiat currency denomination in the world). Gold Philharmonic Coins are the most popular modern European gold bullion coin available today. Buy gold coins online and elect to either take direct delivery or choose to store your 1 oz Gold Austrian Philharmonic Coins safely and securely with Kitco Allocated Storage. Kitco offers various global options for gold bullion storage that is fully segregated, insured and allocated. Kitco Metals’ network of top-tier gold vaults include some of the most secure storage facilities located in Canada, Hong Kong or the United States (COMEX approved). Cayman Islands gold coin storage is also available (certain conditions apply). Find out more about keeping your gold bullion coin purchases secure, with our Global Precious Metals Storage Solutions. The Austrian Mint, wholly owned by the Austrian Central Bank, is the sole maker of Austrian-issue Euro circulation coins and also this most popular euro denominated gold coins (Austrian Gold Philharmonic Coins). It’s 800-year history, its centuries-long tradition of craftsmanship and its state-of-the-art technological capabilities make the Austrian Mint one of the most highly regarded manufacturers of gold bullion coin products. Why buy Gold Philharmonic Coins from Kitco? Kitco is a trusted leader in the gold bullion coin and precious metals industry. 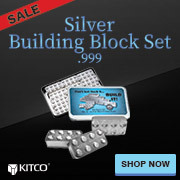 Gold and other precious metals sold by Kitco are recognized in gold bullion markets around the world. With our focus on gold bullion coins, you can benefit from our low gold prices and premiums that are highly competitive in the gold bullion coin industry. We make it easy for you to manage your tangible wealth. You can sell or buy gold coins and other precious metals using our convenient online store, or by contacting our team of highly trained precious metals specialists. Backed by our global information network, Kitco has proudly served our customers since 1977. The Austrian Gold Coin(s) you receive may not be in mint condition. The Philharmonic Gold Coin(s) you receive may be from a different year’s mintage and the appearance may be slightly different from the Gold Philharmonic Coins illustrated here.